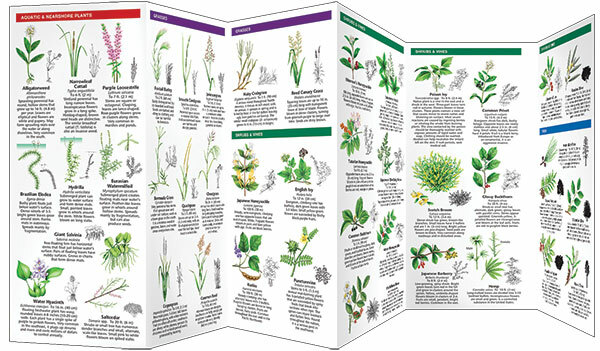 This guide highlights widespread plants that can cause economic and ecological damage to crops, ranges, forests, and wild lands. Many of these problematic plants are non-natives that now grow in locations beyond their known historic range and are obliterating native species. 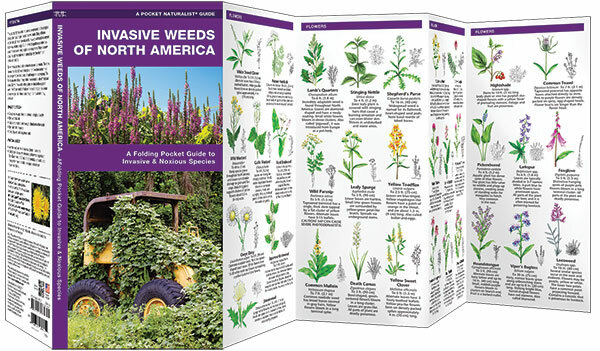 Invasive Weeds of North America is a pocket-sized reference guide to identifying invasive and noxious flowers, shrubs, vines and trees and lets you know what you can do to help prevent them from spreading. Laminated for durability, this lightweight, pocket-sized folding guide is an excellent source of portable information and ideal for field use by novices and experts alike. Made in the USA.